CLEAN CARFAX / NO ACCIDENTS REPORTED **, BACK UP CAMERA **, BLUETOOTH / HANDS FREE CELL PHONE **, SERVICE RECORDS AVAILABLE **, REMAINDER OF FACTORY WARRANTY **, NEW TIRES **, FRESH OIL CHANGE **, TWO SETS OF KEYS **, DEALER SERVICED **, LOCAL TRADE **, FULLY DETAILED **, SAFETY INSPECTED **, FOR FREE CarFax VISIT PREMIERAUTOGROUPOFDURHAM.COM ****.2015 Ram 1500 Big Horn Maximum Steel Metallic ClearcoatRecent Arrival!Awards: * Green Car Journal 2015 Green Truck of the Year * 2015 KBB.com 15 Best Family CarsBased on 2017 EPA mileage ratings. Use for comparison purposes only. 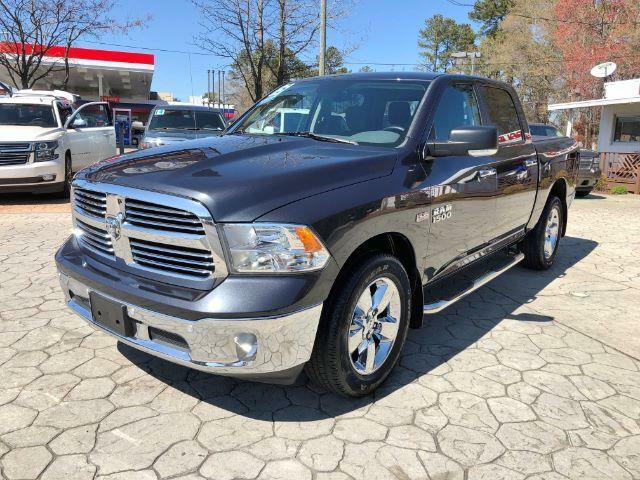 Your mileage will vary depending on how you drive and maintain your vehicle, driving conditions and other factors.Premier Auto Group has been serving the Raleigh/ Durham area for over 20 years by taking care of the customer and giving fair deals.